Ensure great performance In a study, it is revealed that more than 20% of the apps are used only for once and abandoned thereafter. Smartphones users have more than 50 apps on their phones so your app can easily get lost in this era of mobile app development. There are various brands like Instagram, Mc Donald’s; Starbucks are using mobile apps to improve sales, loyalty and customer experience. On the other hand, there exist various brands who are still struggling to find an effective strategy. It is not easy to create brand loyalty in that world where the competition is extremely tough. Why Do People Forget The App? Generally, people avoid using the app when they are not satisfied with the performance. Ensure that your app provides the best solutions to the specific audience otherwise people will forget about this. Nobody loves slow apps. So, make your application fast enough so that users don’t have to waste their valuable time. If your app seems interesting then definitely users will download it. So, test your app in all ways so that it does not crash in users’ hands. To make money from the app, ask app developers to use ads. But note down one thing i.e., these ads can make your slower & eventually users will get frustrated. If possible make the sign-up process easy. People don’t have enough patience for the sign-up process so they often delete the app. App performance plays an important role in making or breaking relation with app user. 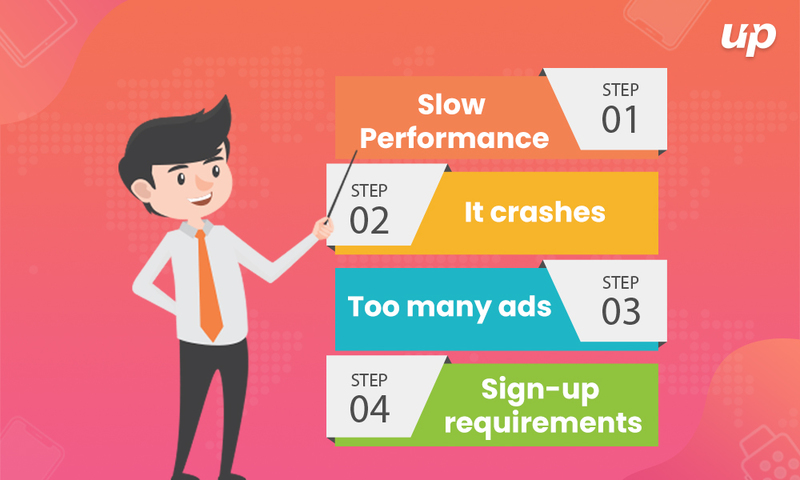 You can check app performance by its loading time and make sure it is free from errors. On the other hand, if your app’s loading time is higher; its bounce rate will dramatically increase. So, it is necessary to monitor your app’s performance and behavior by the tools which are available on internet. It is the responsibility of mobile app developers to make the first experience worthwhile. In fact, the main focus of developers should be on simplicity and intuitive design but sometimes they have to face challenges in order to achieve such things. Generally, developers include help screens to facilitate the easy understanding of app’s features and interface. Logins and account creation are a cumbersome process for new users so you have to make that process extremely simple. There are a majority of apps available where you have to log in first and after that, you can use the app. So, focus on optimization as it is also an important process. To make the process seamless, you can use different login options like social, email. Well, no one wants to receive useless information. So, it is your responsibility to deliver customized, rich content to users based on their in-app behaviors, time, preferences and demographics. Mobile app audience segmentation is an important thing that improves user engagement but also help to monetize the app. Focus on analytics to create dynamic and run relevant campaigns. Compare engagement and analyze ROI. App rewards are the most attractive things that help to boost brand loyalty as well as increase user retention. If you have users who have not come back in a while then you can attract them by giving rewards or appropriate incentives. So, hire trustable iPhone app Development Company that properly understand your necessities. Make your app “share friendly” as it is extremely important in current times. First of all, you have to create an app that is social and promotes itself when shared. Besides this, you should also enable the sharing of content in the app. Ensure that it is easy to share on social media platforms such as Google+, Facebook, and Twitter. Social sharing has become an integral part of users that can make your app more engaging & interesting. The best time to interact with your app audience is when they complete an in-app event. In order to create better user engagement, you have to send additional information to users and promote further activity to reap out better benefits. Such things not only improve user experience but also drive users deep into the app. Deep linking is quite different in terms of mobile apps. This procedure is beneficial to improve users experience and save valuable time. 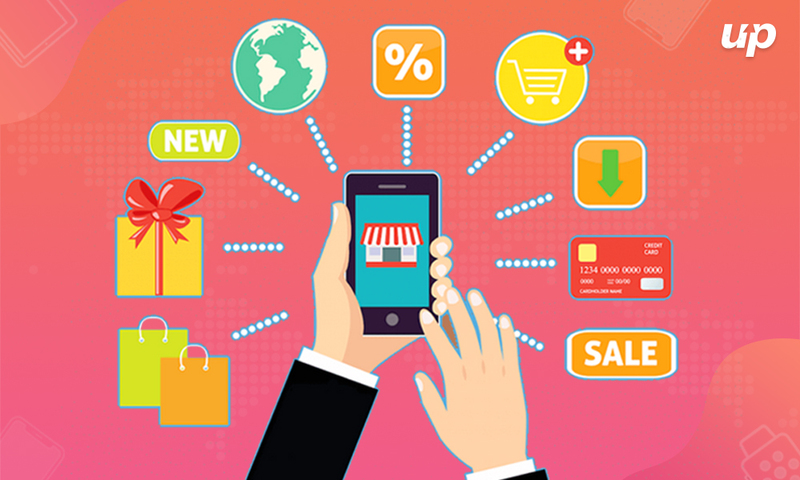 For example, e-commerce apps directly take the users to the product that they want to buy rather than wasting time here and there. The most important engagement strategy is to listen to the audience and offer them what they want. When you better engage with users then you have the better chance of improving app store ratings. Besides this, you should also work on feedbacks to fix dislikes. The best way to do this is directly send Net Promoter Score Surveys to the audience and determine how they recommend the app to a friend. The users who have high NPS are the best promoters and the users who have low score are the detractors. To capture insights for future improvements, you have to engage detractors. There does not exist sure shot magic formula for operating a branding app so you have to optimize marketing strategy and work accordingly. 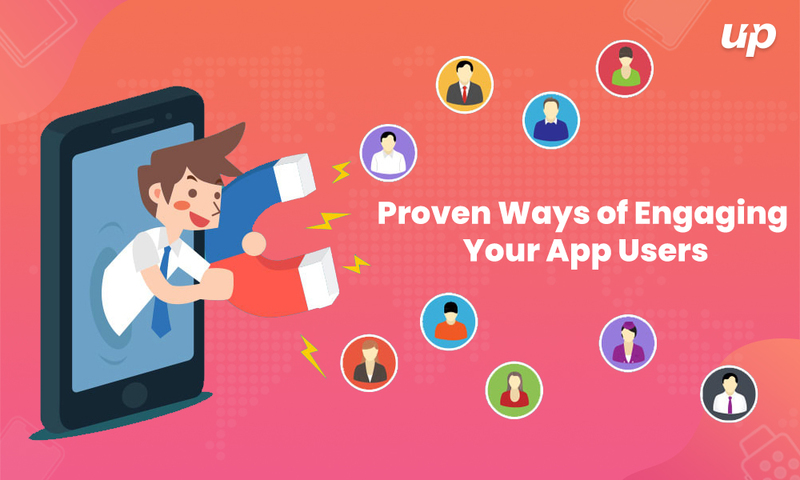 If you want to keep users engaged in your app then get in touch with Fluper where broad range of mobile app development services are delivered to clients according to their business requirements. Next articleHow to Grow Your App Idea Successfully?